Belgium will go into Sunday's group decider in Switzerland three points clear after two goals from Michy Batshuayi on a misty night in Brussels. Relegated Iceland lost Alfred Finnbogason to a warm-up injury, meaning a late start for Arnór Ingvi Traustason, and twice Batshuayi nearly gave Belgium an early lead. However, Batshuayi did find the target midway through the second work after Eden Hazard's centre was turned across the face of goal by Thomas Meunier. Batshuayi's second came late on after Hannes Halldórsson parried a Hans Vanaken shot. Tin Jedvaj's double – his first international goals – means the winner of England v Croatia will book a Finals berth, with a draw at Wembley confirming Spain's progression. After a well-matched first half, Andrej Kramarić gave Croatia the lead early in the second period, only for Dani Ceballos to equalise soon after, rounding off a wonderful team move. Jedvaj put the hosts ahead for a second time from a fine Luka Modrić cross, but Sergio Ramos restored parity from the penalty spot. There was no response to Jedvaj's second, however, the defender slotting in from close range in stoppage time. Bosnia and Herzegovina got the point they needed for promotion while the result relegated Northern Ireland. The visitors were lively throughout in attack, with Edin Višća and Haris Duljević both denied by the fingertips of Heinz Linder, while Edin Džeko dragged an effort wide and Toni Šunjić headed over. Marko Arnautović and Julian Baumgartlinger had chances for Austria, and while their promotion hopes are over, the point takes them out of reach of Sunday's hosts Northern Ireland. Finland surrendered their 100% record in the group but were still able to celebrate promotion in Athens. Albin Granlund's 25th-minute own goal gave Greece the lead but Finland, who knew a one-goal defeat would seal promotion due to their head-to-head record against opponents who were the only side that could catch them, held firm. Estonia suffered relegation after their fourth defeat in five matches in the group. Hungary were in the ascendancy from the moment Willi Orban headed in an eighth-minute corner. Ádám Szalai nodded in a second and the Magyars will finish second if they beat Finland on Sunday and Greece lose against Estonia. Georgia's promotion was sealed last month but their record of not dropping a point nor conceding a goal was ended by Andorra, who stay level with Sunday's final visitors Latvia in third. Giorgi Chakvetadze gave the visitors an early lead from Otar Kakabadze's centre, but just past the hour Cristian Martínez's free-kick from wide flew straight in, the first goal conceded by Georgia in the group. 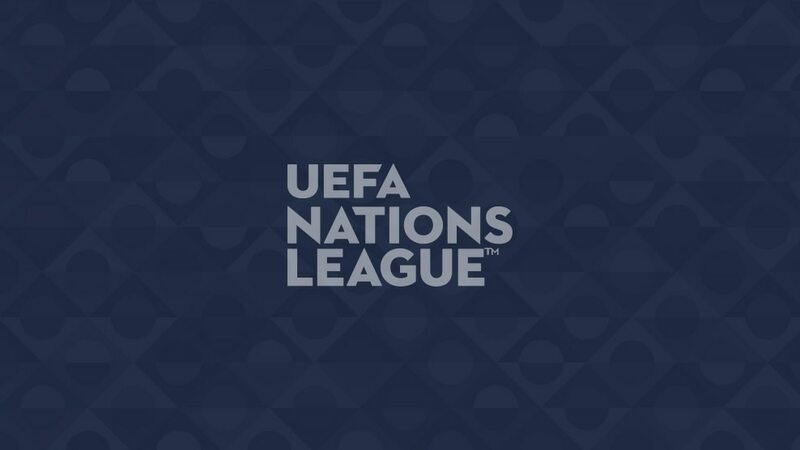 Latvia picked up their first UEFA Nations League point away from home in Astana. After controlling the first period, Kazakhstan deservedly took the lead when Gafurzhan Suyumbayev placed his low finish into the bottom corner from the edge of the box, but the visitors responded well and levelled four minutes after the interval when Deniss Rakels swept in at the back post following a corner. A draw against San Marino on Sunday will seal promotion for Belarus after they produced a dominant display in a pivotal encounter at the Stade Josy Barthel. Stanislav Dragun fired in the first in the 37th minute after a well-worked move down the right, and smashed past Anthony Moris nine minutes after the interval after Luxembourg had failed to clear a free-kick; Aurélien Joachim's shot against the crossbar was as good as it got for the home side, who must beat Moldova and hope Belarus lose to go up. The visitors kept alive their hopes of going up despite a fine display from Elia Benedettini in the home goal. Vitalie Damaşcan came off the bench to score the only goal 13 minutes from time, finding the net from close range after Alexandru Gaţcan's clever chipped pass had been headed across goal by Alexandru Dedov.